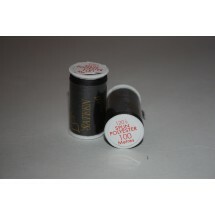 Lesur Sateen Thread 100m	There are 108 products. 1 * Lesur 100m - Beige 102. Good quality polyester thread for machine and hand sewing. Price is reduced to 53 pence (ex VAT), 64 pence (inc VAT) when buying 10 or more of any shade and reduced to 51 pence (ex VAT), 61 pence (inc VAT) when buying 50 of more of any shade. Price will be reduced when we input the order. Colours are only for illustrative purposes. Colours may not be accurate in some browsers. 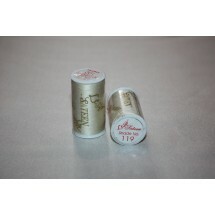 1 * Lesur 100m - Beige 107. 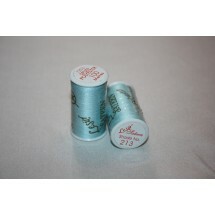 Good quality polyester thread for machine and hand sewing. Price is reduced to 53 pence (ex VAT), 64 pence (inc VAT) when buying 10 or more of any shade and reduced to 51 pence (ex VAT), 61 pence (inc VAT) when buying 50 of more of any shade. Price will be reduced when we input the order. Colours are only for illustrative purposes. Colours may not be accurate in some browsers. 1 * Lesur 100m - Beige 110. Good quality polyester thread for machine and hand sewing. Price is reduced to 53 pence (ex VAT), 64 pence (inc VAT) when buying 10 or more of any shade and reduced to 51 pence (ex VAT), 61 pence (inc VAT) when buying 50 of more of any shade. Price will be reduced when we input the order. Colours are only for illustrative purposes. Colours may not be accurate in some browsers. 1 * Lesur 100m - Beige 289. 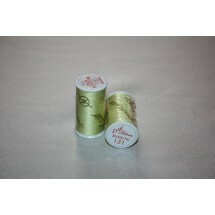 Good quality polyester thread for machine and hand sewing. Price is reduced to 53 pence (ex VAT), 64 pence (inc VAT) when buying 10 or more of any shade and reduced to 51 pence (ex VAT), 61 pence (inc VAT) when buying 50 of more of any shade. Price will be reduced when we input the order. Colours are only for illustrative purposes. Colours may not be accurate in some browsers. 1 * Lesur 100m - Black 352. 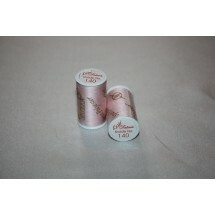 Good quality polyester thread for machine and hand sewing. Price is reduced to 53 pence (ex VAT), 64 pence (inc VAT) when buying 10 or more of any shade and reduced to 51 pence (ex VAT), 61 pence (inc VAT) when buying 50 of more of any shade. Price will be reduced when we input the order. Colours are only for illustrative purposes. Colours may not be accurate in some browsers. 1 * Lesur 100m - Blue 496. Good quality polyester thread for machine and hand sewing. Price is reduced to 53 pence (ex VAT), 64 pence (inc VAT) when buying 10 or more of any shade and reduced to 51 pence (ex VAT), 61 pence (inc VAT) when buying 50 of more of any shade. Price will be reduced when we input the order. Colours are only for illustrative purposes. Colours may not be accurate in some browsers..
1 * Lesur 100m - Blue 504. 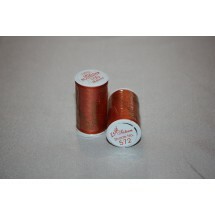 Good quality polyester thread for machine and hand sewing. Price is reduced to 53 pence (ex VAT), 64 pence (inc VAT) when buying 10 or more of any shade and reduced to 51 pence (ex VAT), 61 pence (inc VAT) when buying 50 of more of any shade. Price will be reduced when we input the order. Colours are only for illustrative purposes. 1 * Lesur 100m - Blue 509. Good quality polyester thread for machine and hand sewing. Price is reduced to 53 pence (ex VAT), 64 pence (inc VAT) when buying 10 or more of any shade and reduced to 51 pence (ex VAT), 61 pence (inc VAT) when buying 50 of more of any shade. Price will be reduced when we input the order. Colours are only for illustrative purposes. Colours may not be accurate in some browsers. 1 * Lesur 100m - Blue 512. 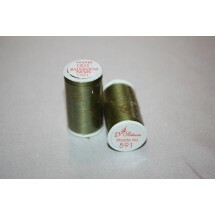 Good quality polyester thread for machine and hand sewing. Price is reduced to 53 pence (ex VAT), 64 pence (inc VAT) when buying 10 or more of any shade and reduced to 51 pence (ex VAT), 61 pence (inc VAT) when buying 50 of more of any shade. Price will be reduced when we input the order. Colours are only for illustrative purposes. 1 * Lesur 100m - Blue 614. Good quality polyester thread for machine and hand sewing. Price is reduced to 53 pence (ex VAT), 64 pence (inc VAT) when buying 10 or more of any shade and reduced to 51 pence (ex VAT), 61 pence (inc VAT) when buying 50 of more of any shade. Price will be reduced when we input the order. 1 * Lesur 100m - Blue 628. 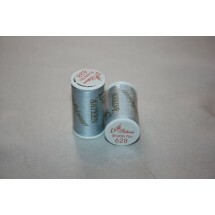 Good quality polyester thread for machine and hand sewing. Price is reduced to 53 pence (ex VAT), 64 pence (inc VAT) when buying 10 or more of any shade and reduced to 51 pence (ex VAT), 61 pence (inc VAT) when buying 50 of more of any shade. Price will be reduced when we input the order. Colours are only for illustrative purposes. Colours may not be accurate in some browsers. 1 * Lesur 100m - Brown 292. Good quality polyester thread for machine and hand sewing. Price is reduced to 53 pence (ex VAT), 64 pence (inc VAT) when buying 10 or more of any shade and reduced to 51 pence (ex VAT), 61 pence (inc VAT) when buying 50 of more of any shade. Price will be reduced when we input the order. 1 * Lesur 100m - Brown 303. 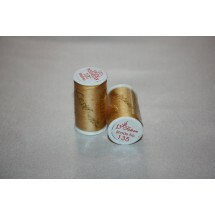 Good quality polyester thread for machine and hand sewing. Price is reduced to 53 pence (ex VAT), 64 pence (inc VAT) when buying 10 or more of any shade and reduced to 51 pence (ex VAT), 61 pence (inc VAT) when buying 50 of more of any shade. Price will be reduced when we input the order. Colours are only for illustrative purposes. Colours may not be accurate in some browsers. 1 * Lesur 100m - Brown 306. 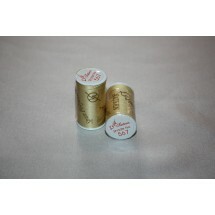 Good quality polyester thread for machine and hand sewing. Price is reduced to 53 pence (ex VAT), 64 pence (inc VAT) when buying 10 or more of any shade and reduced to 51 pence (ex VAT), 61 pence (inc VAT) when buying 50 of more of any shade. Price will be reduced when we input the order. Colours are only for illustrative purposes. Colours may not be accurate in some browsers. 1 * Lesur 100m - Brown 307. Good quality polyester thread for machine and hand sewing. Price is reduced to 53 pence (ex VAT), 64 pence (inc VAT) when buying 10 or more of any shade and reduced to 51 pence (ex VAT), 61 pence (inc VAT) when buying 50 of more of any shade. Price will be reduced when we input the order. 1 * Lesur 100m - Brown 312. 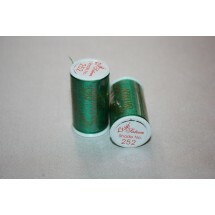 Good quality polyester thread for machine and hand sewing. Price is reduced to 53 pence (ex VAT), 64 pence (inc VAT) when buying 10 or more of any shade and reduced to 51 pence (ex VAT), 61 pence (inc VAT) when buying 50 of more of any shade. Price will be reduced when we input the order. Colours are only for illustrative purposes. Colours may not be accurate in some browsers. 1 * Lesur 100m - Brown 319. Good quality polyester thread for machine and hand sewing. Price is reduced to 53 pence (ex VAT), 64 pence (inc VAT) when buying 10 or more of any shade and reduced to 51 pence (ex VAT), 61 pence (inc VAT) when buying 50 of more of any shade. Price will be reduced when we input the order. 1 * Lesur 100m - Brown 325. 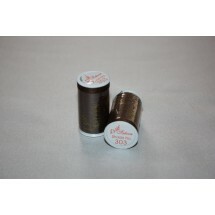 Good quality polyester thread for machine and hand sewing. Price is reduced to 53 pence (ex VAT), 64 pence (inc VAT) when buying 10 or more of any shade and reduced to 51 pence (ex VAT), 61 pence (inc VAT) when buying 50 of more of any shade. Price will be reduced when we input the order. Colours are only for illustrative purposes. Colours may not be accurate in some browsers. 1 * Lesur 100m - Brown 357. Good quality polyester thread for machine and hand sewing. Price is reduced to 53 pence (ex VAT), 64 pence (inc VAT) when buying 10 or more of any shade and reduced to 51 pence (ex VAT), 61 pence (inc VAT) when buying 50 of more of any shade. Price will be reduced when we input the order. 1 * Lesur 100m - Brown 406. 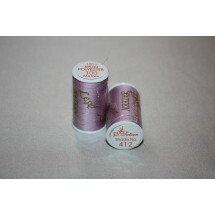 Good quality polyester thread for machine and hand sewing. Price is reduced to 53 pence (ex VAT), 64 pence (inc VAT) when buying 10 or more of any shade and reduced to 51 pence (ex VAT), 61 pence (inc VAT) when buying 50 of more of any shade. Price will be reduced when we input the order. Colours are only for illustrative purposes. Colours may not be accurate in some browsers. 1 * Lesur 100m - Brown 476. 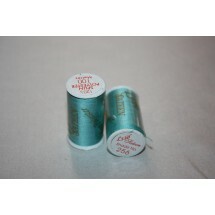 Good quality polyester thread for machine and hand sewing. Price is reduced to 53 pence (ex VAT), 64 pence (inc VAT) when buying 10 or more of any shade and reduced to 51 pence (ex VAT), 61 pence (inc VAT) when buying 50 of more of any shade. Price will be reduced when we input the order. Colours are only for illustrative purposes. Colours may not be accurate in some browsers. 1 * Lesur 100m - Brown 538. 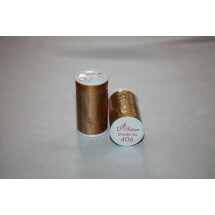 Good quality polyester thread for machine and hand sewing. Price is reduced to 53 pence (ex VAT), 64 pence (inc VAT) when buying 10 or more of any shade and reduced to 51 pence (ex VAT), 61 pence (inc VAT) when buying 50 of more of any shade. Price will be reduced when we input the order. Colours are only for illustrative purposes. Colours may not be accurate in some browsers. 1 * Lesur 100m - Brown 542. 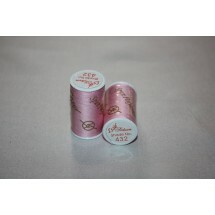 Good quality polyester thread for machine and hand sewing. Price is reduced to 53 pence (ex VAT), 64 pence (inc VAT) when buying 10 or more of any shade and reduced to 51 pence (ex VAT), 61 pence (inc VAT) when buying 50 of more of any shade. Price will be reduced when we input the order. Colours are only for illustrative purposes. Colours may not be accurate in some browsers. 1 * Lesur 100m - Brown 596. 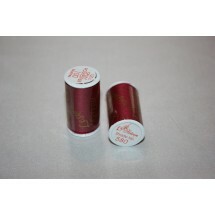 Good quality polyester thread for machine and hand sewing. Price is reduced to 53 pence (ex VAT), 64 pence (inc VAT) when buying 10 or more of any shade and reduced to 51 pence (ex VAT), 61 pence (inc VAT) when buying 50 of more of any shade. Price will be reduced when we input the order. Colours are only for illustrative purposes. Colours may not be accurate in some browsers. 1 * Lesur 100m - Burgundy 165. Good quality polyester thread for machine and hand sewing. Price is reduced to 53 pence (ex VAT), 64 pence (inc VAT) when buying 10 or more of any shade and reduced to 51 pence (ex VAT), 61 pence (inc VAT) when buying 50 of more of any shade. Price will be reduced when we input the order. Colours are only for illustrative purposes. Colours may not be accurate in some browsers. 1 * Lesur 100m - Burgundy 178. Good quality polyester thread for machine and hand sewing. Price is reduced to 53 pence (ex VAT), 64 pence (inc VAT) when buying 10 or more of any shade and reduced to 51 pence (ex VAT), 61 pence (inc VAT) when buying 50 of more of any shade. Price will be reduced when we input the order. Colours are only for illustrative purposes. Colours may not be accurate in some browsers. 1 * Lesur 100m - Burgundy 188. Good quality polyester thread for machine and hand sewing. Price is reduced to 53 pence (ex VAT), 64 pence (inc VAT) when buying 10 or more of any shade and reduced to 51 pence (ex VAT), 61 pence (inc VAT) when buying 50 of more of any shade. Price will be reduced when we input the order. Colours are only for illustrative purposes. Colours may not be accurate in some browsers. 1 * Lesur 100m - Burgundy 580. Good quality polyester thread for machine and hand sewing. Price is reduced to 53 pence (ex VAT), 64 pence (inc VAT) when buying 10 or more of any shade and reduced to 51 pence (ex VAT), 61 pence (inc VAT) when buying 50 of more of any shade. Price will be reduced when we input the order. Colours are only for illustrative purposes. Colours may not be accurate in some browsers. 1 * Lesur 100m - Cerise 417. 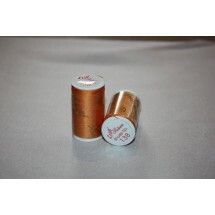 Good quality polyester thread for machine and hand sewing. Price is reduced to 53 pence (ex VAT), 64 pence (inc VAT) when buying 10 or more of any shade and reduced to 51 pence (ex VAT), 61 pence (inc VAT) when buying 50 of more of any shade. Price will be reduced when we input the order. Colours are only for illustrative purposes. Colours may not be accurate in some browsers. 1 * Lesur 100m - Cerise 575. 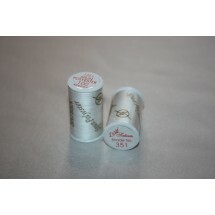 Good quality polyester thread for machine and hand sewing. Price is reduced to 53 pence (ex VAT), 64 pence (inc VAT) when buying 10 or more of any shade and reduced to 51 pence (ex VAT), 61 pence (inc VAT) when buying 50 of more of any shade. Price will be reduced when we input the order. Colours are only for illustrative purposes. Colours may not be accurate in some browsers. 1 * Lesur 100m - Cerise 577. Good quality polyester thread for machine and hand sewing. Price is reduced to 53 pence (ex VAT), 64 pence (inc VAT) when buying 10 or more of any shade and reduced to 51 pence (ex VAT), 61 pence (inc VAT) when buying 50 of more of any shade. Price will be reduced when we input the order. Colours are only for illustrative purposes. Colours may not be accurate in some browsers. 1 * Lesur 100m - Cream 119. 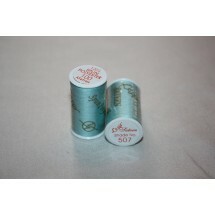 Good quality polyester thread for machine and hand sewing. Price is reduced to 53 pence (ex VAT), 64 pence (inc VAT) when buying 10 or more of any shade and reduced to 51 pence (ex VAT), 61 pence (inc VAT) when buying 50 of more of any shade. Price will be reduced when we input the order. Colours are only for illustrative purposes. Colours may not be accurate in some browsers. 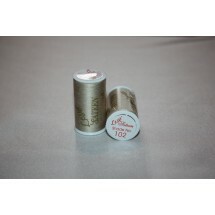 1 * Lesur 100m - Cream 120. 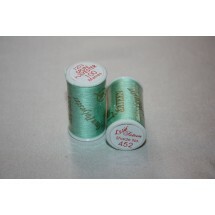 Good quality polyester thread for machine and hand sewing. Price is reduced to 53 pence (ex VAT), 64 pence (inc VAT) when buying 10 or more of any shade and reduced to 51 pence (ex VAT), 61 pence (inc VAT) when buying 50 of more of any shade. Price will be reduced when we input the order. Colours are only for illustrative purposes. Colours may not be accurate in some browsers. 1 * Lesur 100m - Gold 134. Good quality polyester thread for machine and hand sewing. Price is reduced to 53 pence (ex VAT), 64 pence (inc VAT) when buying 10 or more of any shade and reduced to 51 pence (ex VAT), 61 pence (inc VAT) when buying 50 of more of any shade. Price will be reduced when we input the order. Colours are only for illustrative purposes. Colours may not be accurate in some browsers. 1 * Lesur 100m - Gold 135. Good quality polyester thread for machine and hand sewing. Price is reduced to 53 pence (ex VAT), 64 pence (inc VAT) when buying 10 or more of any shade and reduced to 51 pence (ex VAT), 61 pence (inc VAT) when buying 50 of more of any shade. Price will be reduced when we input the order. Colours are only for illustrative purposes. Colours may not be accurate in some browsers. 1 * Lesur 100m - Jade 523. Good quality polyester thread for machine and hand sewing. Price is reduced to 53 pence (ex VAT), 64 pence (inc VAT) when buying 10 or more of any shade and reduced to 51 pence (ex VAT), 61 pence (inc VAT) when buying 50 of more of any shade. Price will be reduced when we input the order. Colours are only for illustrative purposes. Colours may not be accurate in some browsers. 1 * Lesur 100m - Lime 247. Good quality polyester thread for machine and hand sewing. Price is reduced to 53 pence (ex VAT), 64 pence (inc VAT) when buying 10 or more of any shade and reduced to 51 pence (ex VAT), 61 pence (inc VAT) when buying 50 of more of any shade. Price will be reduced when we input the order. Colours are only for illustrative purposes. Colours may not be accurate in some browsers. 1 * Lesur 100m - Green 246. Good quality polyester thread for machine and hand sewing. Price is reduced to 53 pence (ex VAT), 64 pence (inc VAT) when buying 10 or more of any shade and reduced to 51 pence (ex VAT), 61 pence (inc VAT) when buying 50 of more of any shade. Price will be reduced when we input the order. Colours are only for illustrative purposes. Colours may not be accurate in some browsers. 1 * Lesur 100m - Green 252. 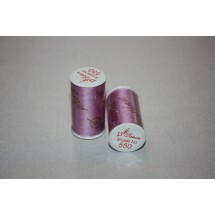 Good quality polyester thread for machine and hand sewing. Price is reduced to 53 pence (ex VAT), 64 pence (inc VAT) when buying 10 or more of any shade and reduced to 51 pence (ex VAT), 61 pence (inc VAT) when buying 50 of more of any shade. Price will be reduced when we input the order. Colours are only for illustrative purposes. Colours may not be accurate in some browsers. 1 * Lesur 100m - Green 264. Good quality polyester thread for machine and hand sewing. Price is reduced to 53 pence (ex VAT), 64 pence (inc VAT) when buying 10 or more of any shade and reduced to 51 pence (ex VAT), 61 pence (inc VAT) when buying 50 of more of any shade. Price will be reduced when we input the order. Colours are only for illustrative purposes. Colours may not be accurate in some browsers. 1 * Lesur 100m - Green 267. 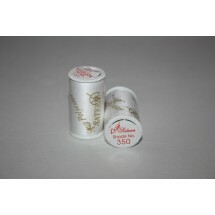 Good quality polyester thread for machine and hand sewing. Price is reduced to 53 pence (ex VAT), 64 pence (inc VAT) when buying 10 or more of any shade and reduced to 51 pence (ex VAT), 61 pence (inc VAT) when buying 50 of more of any shade. Price will be reduced when we input the order. Colours are only for illustrative purposes. Colours may not be accurate in some browsers. 1 * Lesur 100m - Green 452. 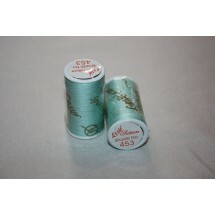 Good quality polyester thread for machine and hand sewing. Price is reduced to 53 pence (ex VAT), 64 pence (inc VAT) when buying 10 or more of any shade and reduced to 51 pence (ex VAT), 61 pence (inc VAT) when buying 50 of more of any shade. Price will be reduced when we input the order. Colours are only for illustrative purposes. Colours may not be accurate in some browsers. 1 * Lesur 100m - Green 453. Good quality polyester thread for machine and hand sewing. Price is reduced to 53 pence (ex VAT), 64 pence (inc VAT) when buying 10 or more of any shade and reduced to 51 pence (ex VAT), 61 pence (inc VAT) when buying 50 of more of any shade. Price will be reduced when we input the order. Colours are only for illustrative purposes. Colours may not be accurate in some browsers. 1 * Lesur 100m - Green 454. 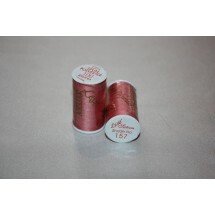 Good quality polyester thread for machine and hand sewing. Price is reduced to 53 pence (ex VAT), 64 pence (inc VAT) when buying 10 or more of any shade and reduced to 51 pence (ex VAT), 61 pence (inc VAT) when buying 50 of more of any shade. Price will be reduced when we input the order. Colours are only for illustrative purposes. Colours may not be accurate in some browsers. 1 * Lesur 100m - Grey 191. Good quality polyester thread for machine and hand sewing. Price is reduced to 53 pence (ex VAT), 64 pence (inc VAT) when buying 10 or more of any shade and reduced to 51 pence (ex VAT), 61 pence (inc VAT) when buying 50 of more of any shade. Price will be reduced when we input the order. Colours are only for illustrative purposes. Colours may not be accurate in some browsers. 1 * Lesur 100m - Grey 342. Good quality polyester thread for machine and hand sewing. Price is reduced to 53 pence (ex VAT), 64 pence (inc VAT) when buying 10 or more of any shade and reduced to 51 pence (ex VAT), 61 pence (inc VAT) when buying 50 of more of any shade. Price will be reduced when we input the order. Colours are only for illustrative purposes. Colours may not be accurate in some browsers. 1 * Lesur 100m - Grey 344. 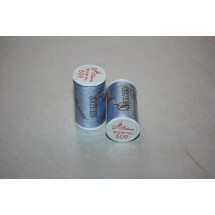 Good quality polyester thread for machine and hand sewing. Price is reduced to 53 pence (ex VAT), 64 pence (inc VAT) when buying 10 or more of any shade and reduced to 51 pence (ex VAT), 61 pence (inc VAT) when buying 50 of more of any shade. Price will be reduced when we input the order. Colours are only for illustrative purposes. Colours may not be accurate in some browsers. 1 * Lesur 100m - Grey 364. Good quality polyester thread for machine and hand sewing. Price is reduced to 53 pence (ex VAT), 64 pence (inc VAT) when buying 10 or more of any shade and reduced to 51 pence (ex VAT), 61 pence (inc VAT) when buying 50 of more of any shade. Price will be reduced when we input the order. Colours are only for illustrative purposes. Colours may not be accurate in some browsers. 1 * Lesur 100m - Grey 478. 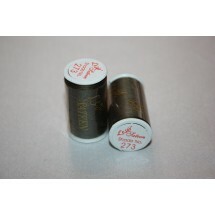 Good quality polyester thread for machine and hand sewing. Price is reduced to 53 pence (ex VAT), 64 pence (inc VAT) when buying 10 or more of any shade and reduced to 51 pence (ex VAT), 61 pence (inc VAT) when buying 50 of more of any shade. Price will be reduced when we input the order. Colours are only for illustrative purposes. Colours may not be accurate in some browsers. 1 * Lesur 100m - Grey 483. 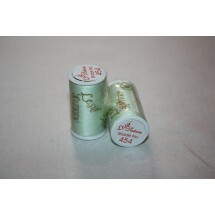 Good quality polyester thread for machine and hand sewing. Price is reduced to 53 pence (ex VAT), 64 pence (inc VAT) when buying 10 or more of any shade and reduced to 51 pence (ex VAT), 61 pence (inc VAT) when buying 50 of more of any shade. Price will be reduced when we input the order. Colours are only for illustrative purposes. Colours may not be accurate in some browsers. 1 * Lesur 100m - Grey 500. 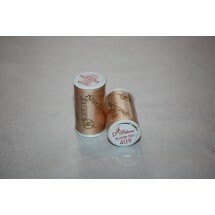 Good quality polyester thread for machine and hand sewing. Price is reduced to 53 pence (ex VAT), 64 pence (inc VAT) when buying 10 or more of any shade and reduced to 51 pence (ex VAT), 61 pence (inc VAT) when buying 50 of more of any shade. Price will be reduced when we input the order. Colours are only for illustrative purposes. Colours may not be accurate in some browsers. 1 * Lesur 100m - Ivory 101. Good quality polyester thread for machine and hand sewing. Price is reduced to 53 pence (ex VAT), 64 pence (inc VAT) when buying 10 or more of any shade and reduced to 51 pence (ex VAT), 61 pence (inc VAT) when buying 50 of more of any shade. Price will be reduced when we input the order. Colours are only for illustrative purposes. Colours may not be accurate in some browsers. 1 * Lesur 100m - Lemon 129. Good quality polyester thread for machine and hand sewing. Price is reduced to 53 pence (ex VAT), 64 pence (inc VAT) when buying 10 or more of any shade and reduced to 51 pence (ex VAT), 61 pence (inc VAT) when buying 50 of more of any shade. Price will be reduced when we input the order. Colours are only for illustrative purposes. Colours may not be accurate in some browsers. 1 * Lesur 100m - Lemon 131. Good quality polyester thread for machine and hand sewing. Price is reduced to 53 pence (ex VAT), 64 pence (inc VAT) when buying 10 or more of any shade and reduced to 51 pence (ex VAT), 61 pence (inc VAT) when buying 50 of more of any shade. Price will be reduced when we input the order. Colours are only for illustrative purposes. Colours may not be accurate in some browsers. 1 * Lesur 100m - Lemon 132. Good quality polyester thread for machine and hand sewing. Price is reduced to 53 pence (ex VAT), 64 pence (inc VAT) when buying 10 or more of any shade and reduced to 51 pence (ex VAT), 61 pence (inc VAT) when buying 50 of more of any shade. Price will be reduced when we input the order. Colours are only for illustrative purposes. Colours may not be accurate in some browsers. 1 * Lesur 100m - Lemon 362. 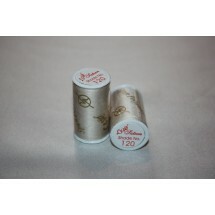 Good quality polyester thread for machine and hand sewing. Price is reduced to 53 pence (ex VAT), 64 pence (inc VAT) when buying 10 or more of any shade and reduced to 51 pence (ex VAT), 61 pence (inc VAT) when buying 50 of more of any shade. Price will be reduced when we input the order. Colours are only for illustrative purposes. Colours may not be accurate in some browsers. 1 * Lesur 100m - Lemon 567. Good quality polyester thread for machine and hand sewing. Price is reduced to 53 pence (ex VAT), 64 pence (inc VAT) when buying 10 or more of any shade and reduced to 51 pence (ex VAT), 61 pence (inc VAT) when buying 50 of more of any shade. Price will be reduced when we input the order. Colours are only for illustrative purposes. Colours may not be accurate in some browsers. 1 * Lesur 100m - Lilac 179. Good quality polyester thread for machine and hand sewing. Price is reduced to 53 pence (ex VAT), 64 pence (inc VAT) when buying 10 or more of any shade and reduced to 51 pence (ex VAT), 61 pence (inc VAT) when buying 50 of more of any shade. Price will be reduced when we input the order. Colours are only for illustrative purposes. Colours may not be accurate in some browsers. 1 * Lesur 100m - Lilac 412. Good quality polyester thread for machine and hand sewing. Price is reduced to 53 pence (ex VAT), 64 pence (inc VAT) when buying 10 or more of any shade and reduced to 51 pence (ex VAT), 61 pence (inc VAT) when buying 50 of more of any shade. Price will be reduced when we input the order. Colours are only for illustrative purposes. Colours may not be accurate in some browsers. 1 * Lesur 100m - Lilac 418. 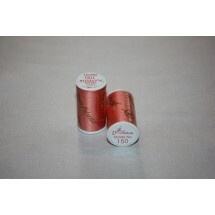 Good quality polyester thread for machine and hand sewing. Price is reduced to 53 pence (ex VAT), 64 pence (inc VAT) when buying 10 or more of any shade and reduced to 51 pence (ex VAT), 61 pence (inc VAT) when buying 50 of more of any shade. Price will be reduced when we input the order. 1 * Lesur 100m - Lilac 419. Good quality polyester thread for machine and hand sewing. Price is reduced to 53 pence (ex VAT), 64 pence (inc VAT) when buying 10 or more of any shade and reduced to 51 pence (ex VAT), 61 pence (inc VAT) when buying 50 of more of any shade. Price will be reduced when we input the order. Colours are only for illustrative purposes. Colours may not be accurate in some browsers. 1 * Lesur 100m - Lilac 510. 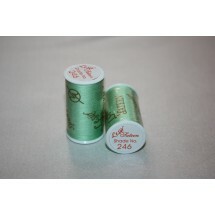 Good quality polyester thread for machine and hand sewing. Price is reduced to 53 pence (ex VAT), 64 pence (inc VAT) when buying 10 or more of any shade and reduced to 51 pence (ex VAT), 61 pence (inc VAT) when buying 50 of more of any shade. Price will be reduced when we input the order. Colours are only for illustrative purposes. Colours may not be accurate in some browsers. 1 * Lesur 100m - Lilac 550. 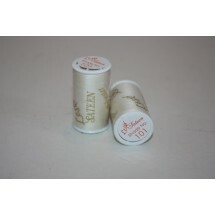 Good quality polyester thread for machine and hand sewing. Price is reduced to 53 pence (ex VAT), 64 pence (inc VAT) when buying 10 or more of any shade and reduced to 51 pence (ex VAT), 61 pence (inc VAT) when buying 50 of more of any shade. Price will be reduced when we input the order. Colours are only for illustrative purposes. Colours may not be accurate in some browsers. 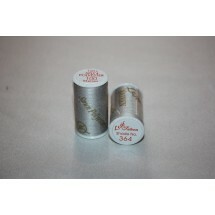 1 * Lesur 100m - Natural/Off White 350. 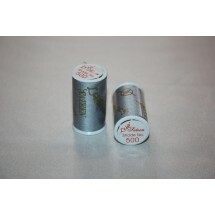 Good quality polyester thread for machine and hand sewing. Price is reduced to 53 pence (ex VAT), 64 pence (inc VAT) when buying 10 or more of any shade and reduced to 51 pence (ex VAT), 61 pence (inc VAT) when buying 50 of more of any shade. Price will be reduced when we input the order. Colours are only for illustrative purposes. Colours may not be accurate in some browsers. 1 * Lesur 100m - Navy 202. Good quality polyester thread for machine and hand sewing. Price is reduced to 53 pence (ex VAT), 64 pence (inc VAT) when buying 10 or more of any shade and reduced to 51 pence (ex VAT), 61 pence (inc VAT) when buying 50 of more of any shade. Price will be reduced when we input the order. Colours are only for illustrative purposes. Colours may not be accurate in some browsers. 1 * Lesur 100m - Navy 231. Good quality polyester thread for machine and hand sewing. Price is reduced to 53 pence (ex VAT), 64 pence (inc VAT) when buying 10 or more of any shade and reduced to 51 pence (ex VAT), 61 pence (inc VAT) when buying 50 of more of any shade. Price will be reduced when we input the order. Colours are only for illustrative purposes. Colours may not be accurate in some browsers. 1 * Lesur 100m - Navy 232. Good quality polyester thread for machine and hand sewing. Price is reduced to 53 pence (ex VAT), 64 pence (inc VAT) when buying 10 or more of any shade and reduced to 51 pence (ex VAT), 61 pence (inc VAT) when buying 50 of more of any shade. Price will be reduced when we input the order. Colours are only for illustrative purposes. Colours may not be accurate in some browsers. 1 * Lesur 100m - Navy 602. 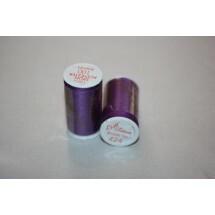 Good quality polyester thread for machine and hand sewing. Price is reduced to 53 pence (ex VAT), 64 pence (inc VAT) when buying 10 or more of any shade and reduced to 51 pence (ex VAT), 61 pence (inc VAT) when buying 50 of more of any shade. Price will be reduced when we input the order. Colours are only for illustrative purposes. 1 * Lesur 100m - Olive 273. 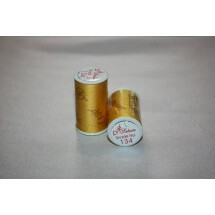 Good quality polyester thread for machine and hand sewing. Price is reduced to 53 pence (ex VAT), 64 pence (inc VAT) when buying 10 or more of any shade and reduced to 51 pence (ex VAT), 61 pence (inc VAT) when buying 50 of more of any shade. Price will be reduced when we input the order. Colours are only for illustrative purposes. Colours may not be accurate in some browsers. 1 * Lesur 100m - Olive 279. 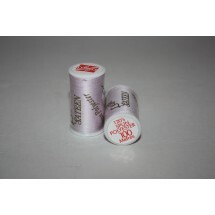 Good quality polyester thread for machine and hand sewing. Price is reduced to 53 pence (ex VAT), 64 pence (inc VAT) when buying 10 or more of any shade and reduced to 51 pence (ex VAT), 61 pence (inc VAT) when buying 50 of more of any shade. Price will be reduced when we input the order. Colours are only for illustrative purposes. Colours may not be accurate in some browsers. 1 * Lesur 100m - Olive 390. 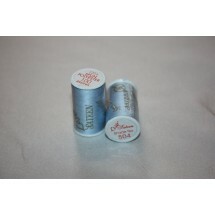 Good quality polyester thread for machine and hand sewing. Price is reduced to 53 pence (ex VAT), 64 pence (inc VAT) when buying 10 or more of any shade and reduced to 51 pence (ex VAT), 61 pence (inc VAT) when buying 50 of more of any shade. Price will be reduced when we input the order. Colours are only for illustrative purposes. Colours may not be accurate in some browsers. 1 * Lesur 100m - Olive 591. 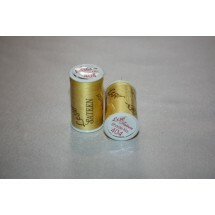 Good quality polyester thread for machine and hand sewing. Price is reduced to 53 pence (ex VAT), 64 pence (inc VAT) when buying 10 or more of any shade and reduced to 51 pence (ex VAT), 61 pence (inc VAT) when buying 50 of more of any shade. Price will be reduced when we input the order. Colours are only for illustrative purposes. Colours may not be accurate in some browsers..
1 * Lesur 100m - Orange 138. Good quality polyester thread for machine and hand sewing. Price is reduced to 53 pence (ex VAT), 64 pence (inc VAT) when buying 10 or more of any shade and reduced to 51 pence (ex VAT), 61 pence (inc VAT) when buying 50 of more of any shade. Price will be reduced when we input the order. Colours are only for illustrative purposes. Colours may not be accurate in some browsers. 1 * Lesur 100m - Orange 150. Good quality polyester thread for machine and hand sewing. Price is reduced to 53 pence (ex VAT), 64 pence (inc VAT) when buying 10 or more of any shade and reduced to 51 pence (ex VAT), 61 pence (inc VAT) when buying 50 of more of any shade. Price will be reduced when we input the order. Colours are only for illustrative purposes. Colours may not be accurate in some browsers. 1 * Lesur 100m - Orange 358. 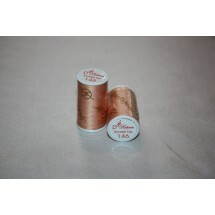 Good quality polyester thread for machine and hand sewing. Price is reduced to 53 pence (ex VAT), 64 pence (inc VAT) when buying 10 or more of any shade and reduced to 51 pence (ex VAT), 61 pence (inc VAT) when buying 50 of more of any shade. Price will be reduced when we input the order. Colours are only for illustrative purposes. Colours may not be accurate in some browsers. 1 * Lesur 100m - Orange 410. 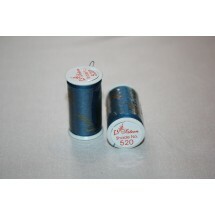 Good quality polyester thread for machine and hand sewing. Price is reduced to 53 pence (ex VAT), 64 pence (inc VAT) when buying 10 or more of any shade and reduced to 51 pence (ex VAT), 61 pence (inc VAT) when buying 50 of more of any shade. Price will be reduced when we input the order. Colours are only for illustrative purposes. Colours may not be accurate in some browsers. 1 * Lesur 100m - Orange 572. 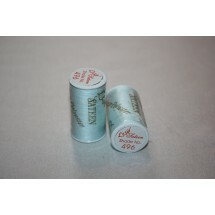 Good quality polyester thread for machine and hand sewing. Price is reduced to 53 pence (ex VAT), 64 pence (inc VAT) when buying 10 or more of any shade and reduced to 51 pence (ex VAT), 61 pence (inc VAT) when buying 50 of more of any shade. Price will be reduced when we input the order. Colours are only for illustrative purposes. Colours may not be accurate in some browsers. 1 * Lesur 100m - Peach 146. 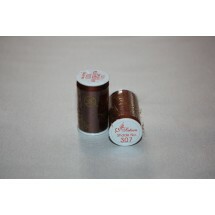 Good quality polyester thread for machine and hand sewing. Price is reduced to 53 pence (ex VAT), 64 pence (inc VAT) when buying 10 or more of any shade and reduced to 51 pence (ex VAT), 61 pence (inc VAT) when buying 50 of more of any shade. Price will be reduced when we input the order. Colours are only for illustrative purposes. Colours may not be accurate in some browsers. 1 * Lesur 100m - Peach 147. 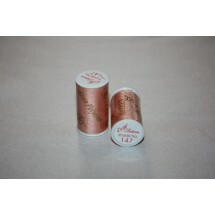 Good quality polyester thread for machine and hand sewing. Price is reduced to 53 pence (ex VAT), 64 pence (inc VAT) when buying 10 or more of any shade and reduced to 51 pence (ex VAT), 61 pence (inc VAT) when buying 50 of more of any shade. Price will be reduced when we input the order. Colours are only for illustrative purposes. Colours may not be accurate in some browsers. 1 * Lesur 100m - Peach 383. Good quality polyester thread for machine and hand sewing. Price is reduced to 53 pence (ex VAT), 64 pence (inc VAT) when buying 10 or more of any shade and reduced to 51 pence (ex VAT), 61 pence (inc VAT) when buying 50 of more of any shade. Price will be reduced when we input the order. Colours are only for illustrative purposes. Colours may not be accurate in some browsers. 1 * Lesur 100m - Peach 409. Good quality polyester thread for machine and hand sewing. Price is reduced to 53 pence (ex VAT), 64 pence (inc VAT) when buying 10 or more of any shade and reduced to 51 pence (ex VAT), 61 pence (inc VAT) when buying 50 of more of any shade. Price will be reduced when we input the order. Colours are only for illustrative purposes. Colours may not be accurate in some browsers. 1 * Lesur 100m - Peach 569. Good quality polyester thread for machine and hand sewing. Price is reduced to 53 pence (ex VAT), 64 pence (inc VAT) when buying 10 or more of any shade and reduced to 51 pence (ex VAT), 61 pence (inc VAT) when buying 50 of more of any shade. Price will be reduced when we input the order. Colours are only for illustrative purposes. Colours may not be accurate in some browsers. 1 * Lesur 100m - Pink 140. Good quality polyester thread for machine and hand sewing. Price is reduced to 53 pence (ex VAT), 64 pence (inc VAT) when buying 10 or more of any shade and reduced to 51 pence (ex VAT), 61 pence (inc VAT) when buying 50 of more of any shade. Price will be reduced when we input the order. Colours are only for illustrative purposes. Colours may not be accurate in some browsers. 1 * Lesur 100m - Pink 149. 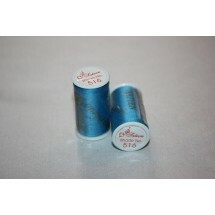 Good quality polyester thread for machine and hand sewing. Price is reduced to 53 pence (ex VAT), 64 pence (inc VAT) when buying 10 or more of any shade and reduced to 51 pence (ex VAT), 61 pence (inc VAT) when buying 50 of more of any shade. Price will be reduced when we input the order. Colours are only for illustrative purposes. Colours may not be accurate in some browsers. 1 * Lesur 100m - Pink 157. Good quality polyester thread for machine and hand sewing. Price is reduced to 53 pence (ex VAT), 64 pence (inc VAT) when buying 10 or more of any shade and reduced to 51 pence (ex VAT), 61 pence (inc VAT) when buying 50 of more of any shade. Price will be reduced when we input the order. Colours are only for illustrative purposes. Colours may not be accurate in some browsers. 1 * Lesur 100m - Pink 432. Good quality polyester thread for machine and hand sewing. Price is reduced to 53 pence (ex VAT), 64 pence (inc VAT) when buying 10 or more of any shade and reduced to 51 pence (ex VAT), 61 pence (inc VAT) when buying 50 of more of any shade. Price will be reduced when we input the order. Colours are only for illustrative purposes. Colours may not be accurate in some browsers. 1 * Lesur 100m - Pink 433. 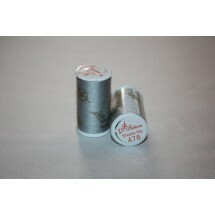 Good quality polyester thread for machine and hand sewing. Price is reduced to 53 pence (ex VAT), 64 pence (inc VAT) when buying 10 or more of any shade and reduced to 51 pence (ex VAT), 61 pence (inc VAT) when buying 50 of more of any shade. Price will be reduced when we input the order. Colours are only for illustrative purposes. Colours may not be accurate in some browsers. 1 * Lesur 100m - Purple 371. 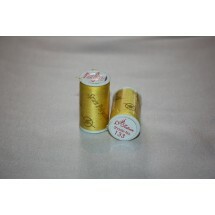 Good quality polyester thread for machine and hand sewing. Price is reduced to 53 pence (ex VAT), 64 pence (inc VAT) when buying 10 or more of any shade and reduced to 51 pence (ex VAT), 61 pence (inc VAT) when buying 50 of more of any shade. Price will be reduced when we input the order. Colours are only for illustrative purposes. Colours may not be accurate in some browsers. 1 * Lesur 100m - Purple 424. 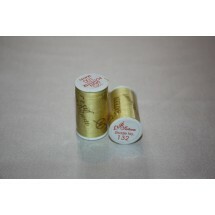 Good quality polyester thread for machine and hand sewing. Price is reduced to 53 pence (ex VAT), 64 pence (inc VAT) when buying 10 or more of any shade and reduced to 51 pence (ex VAT), 61 pence (inc VAT) when buying 50 of more of any shade. Price will be reduced when we input the order. Colours are only for illustrative purposes. Colours may not be accurate in some browsers. 1 * Lesur 100m - Purple 426. Good quality polyester thread for machine and hand sewing. Price is reduced to 53 pence (ex VAT), 64 pence (inc VAT) when buying 10 or more of any shade and reduced to 51 pence (ex VAT), 61 pence (inc VAT) when buying 50 of more of any shade. Price will be reduced when we input the order. Colours are only for illustrative purposes. Colours may not be accurate in some browsers. 1 * Lesur 100m - Purple 554. Good quality polyester thread for machine and hand sewing. Price is reduced to 53 pence (ex VAT), 64 pence (inc VAT) when buying 10 or more of any shade and reduced to 51 pence (ex VAT), 61 pence (inc VAT) when buying 50 of more of any shade. Price will be reduced when we input the order. 1 * Lesur 100m - Purple 622. 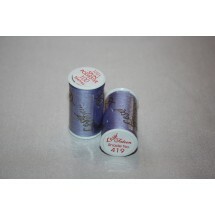 Good quality polyester thread for machine and hand sewing. Price is reduced to 53 pence (ex VAT), 64 pence (inc VAT) when buying 10 or more of any shade and reduced to 51 pence (ex VAT), 61 pence (inc VAT) when buying 50 of more of any shade. Price will be reduced when we input the order. Colours are only for illustrative purposes. Colours may not be accurate in some browsers. 1 * Lesur 100m - Red 154. 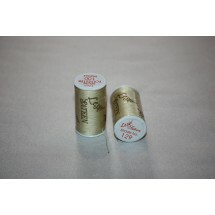 Good quality polyester thread for machine and hand sewing. Price is reduced to 53 pence (ex VAT), 64 pence (inc VAT) when buying 10 or more of any shade and reduced to 51 pence (ex VAT), 61 pence (inc VAT) when buying 50 of more of any shade. Price will be reduced when we input the order. Colours are only for illustrative purposes. Colours may not be accurate in some browsers. 1 * Lesur 100m - Red 163. 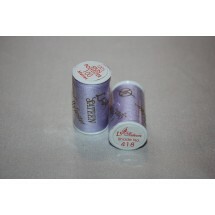 Good quality polyester thread for machine and hand sewing. Price is reduced to 53 pence (ex VAT), 64 pence (inc VAT) when buying 10 or more of any shade and reduced to 51 pence (ex VAT), 61 pence (inc VAT) when buying 50 of more of any shade. Price will be reduced when we input the order. Colours are only for illustrative purposes. Colours may not be accurate in some browsers. 1 * Lesur 100m - Red 164. 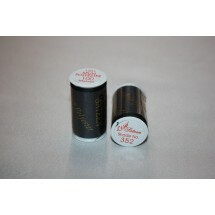 Good quality polyester thread for machine and hand sewing. Price is reduced to 53 pence (ex VAT), 64 pence (inc VAT) when buying 10 or more of any shade and reduced to 51 pence (ex VAT), 61 pence (inc VAT) when buying 50 of more of any shade. Price will be reduced when we input the order. Colours are only for illustrative purposes. Colours may not be accurate in some browsers. 1 * Lesur 100m - Royal 618. Good quality polyester thread for machine and hand sewing. Price is reduced to 53 pence (ex VAT), 64 pence (inc VAT) when buying 10 or more of any shade and reduced to 51 pence (ex VAT), 61 pence (inc VAT) when buying 50 of more of any shade. Price will be reduced when we input the order. Colours are only for illustrative purposes. Colours may not be accurate in some browsers. 1 * Lesur 100m - Turquoise 213. Good quality polyester thread for machine and hand sewing. Price is reduced to 53 pence (ex VAT), 64 pence (inc VAT) when buying 10 or more of any shade and reduced to 51 pence (ex VAT), 61 pence (inc VAT) when buying 50 of more of any shade. Price will be reduced when we input the order. 1 * Lesur 100m - Turquoise 256. Good quality polyester thread for machine and hand sewing. Price is reduced to 53 pence (ex VAT), 64 pence (inc VAT) when buying 10 or more of any shade and reduced to 51 pence (ex VAT), 61 pence (inc VAT) when buying 50 of more of any shade. Price will be reduced when we input the order. Colours are only for illustrative purposes. Colours may not be accurate in some browsers. 1 * Lesur 100m - Turquoise 506. Good quality polyester thread for machine and hand sewing. Price is reduced to 53 pence (ex VAT), 64 pence (inc VAT) when buying 10 or more of any shade and reduced to 51 pence (ex VAT), 61 pence (inc VAT) when buying 50 of more of any shade. Price will be reduced when we input the order. 1 * Lesur 100m - Turquoise 507. Good quality polyester thread for machine and hand sewing. Price is reduced to 53 pence (ex VAT), 64 pence (inc VAT) when buying 10 or more of any shade and reduced to 51 pence (ex VAT), 61 pence (inc VAT) when buying 50 of more of any shade. Price will be reduced when we input the order. Colours are only for illustrative purposes. Colours may not be accurate in some browsers. 1 * Lesur 100m - Turquoise 515. Good quality polyester thread for machine and hand sewing. Price is reduced to 53 pence (ex VAT), 64 pence (inc VAT) when buying 10 or more of any shade and reduced to 51 pence (ex VAT), 61 pence (inc VAT) when buying 50 of more of any shade. Price will be reduced when we input the order. 1 * Lesur 100m - Turquoise 516. Good quality polyester thread for machine and hand sewing. Price is reduced to 53 pence (ex VAT), 64 pence (inc VAT) when buying 10 or more of any shade and reduced to 51 pence (ex VAT), 61 pence (inc VAT) when buying 50 of more of any shade. Price will be reduced when we input the order. Colours are only for illustrative purposes. Colours may not be accurate in some browsers. 1 * Lesur 100m - Turquoise 520. Good quality polyester thread for machine and hand sewing. Price is reduced to 53 pence (ex VAT), 64 pence (inc VAT) when buying 10 or more of any shade and reduced to 51 pence (ex VAT), 61 pence (inc VAT) when buying 50 of more of any shade. Price will be reduced when we input the order. Colours are only for illustrative purposes. Colours may not be accurate in some browsers. 1 * Lesur 100m - Turquoise 525. Good quality polyester thread for machine and hand sewing. Price is reduced to 53 pence (ex VAT), 64 pence (inc VAT) when buying 10 or more of any shade and reduced to 51 pence (ex VAT), 61 pence (inc VAT) when buying 50 of more of any shade. Price will be reduced when we input the order. Colours are only for illustrative purposes. Colours may not be accurate in some browsers. 1 * Lesur 100m - Turquoise 612. Good quality polyester thread for machine and hand sewing. Price is reduced to 53 pence (ex VAT), 64 pence (inc VAT) when buying 10 or more of any shade and reduced to 51 pence (ex VAT), 61 pence (inc VAT) when buying 50 of more of any shade. Price will be reduced when we input the order. Colours are only for illustrative purposes. Colours may not be accurate in some browsers. 1 * Lesur 100m - White 351. Good quality polyester thread for machine and hand sewing. Price is reduced to 53 pence (ex VAT), 64 pence (inc VAT) when buying 10 or more of any shade and reduced to 51 pence (ex VAT), 61 pence (inc VAT) when buying 50 of more of any shade. Price will be reduced when we input the order. Colours are only for illustrative purposes. Colours may not be accurate in some browsers. 1 * Lesur 100m - Yellow 133. Good quality polyester thread for machine and hand sewing. Price is reduced to 53 pence (ex VAT), 64 pence (inc VAT) when buying 10 or more of any shade and reduced to 51 pence (ex VAT), 61 pence (inc VAT) when buying 50 of more of any shade. Price will be reduced when we input the order. Colours are only for illustrative purposes. Colours may not be accurate in some browsers. 1 * Lesur 100m - Yellow 404. Good quality polyester thread for machine and hand sewing. Price is reduced to 53 pence (ex VAT), 64 pence (inc VAT) when buying 10 or more of any shade and reduced to 51 pence (ex VAT), 61 pence (inc VAT) when buying 50 of more of any shade. Price will be reduced when we input the order. Colours are only for illustrative purposes. Colours may not be accurate in some browsers.